Dr. Irvin Oh is an Assistant Professor of Orthopaedics. He specializes in foot and ankle disorders. His special interests include ankle arthroscopy and ligament reconstruction, arthritic conditions, foot and ankle deformities, sports injuries, and wounds. Dr. Oh is trained in the specialized; comprehensive care of problem wounds. 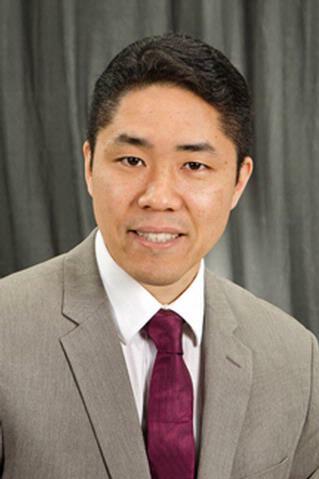 Prior to joining URMC Orthopaedics and Rehabilitation, Dr. Oh was in practice in Hornell, NY. He earned his medical degree from Kosin University College of Medicine in Korea. He completed his orthopaedic surgery residency at Samsung Medical Center in South Korea. Following his residency, Dr. Oh completed the Foot and Ankle Fellowship at Cornell Medical School Hospital for Special Surgery. Dr. Oh is a member of the American Academy of Orthopaedic Surgeons and the American Orthopaedic Foot and Ankle Society. Dr. Oh has given many national and international presentations and authored numerous publications in peer reviewed journals. Kaplan N, Fowler X, Maqsoodi N, DiGiovanni B, Oh I. "Operative Anatomy of the Medial Gastrocnemius Recession vs the Proximal Medial Gastrocnemius Recession." Foot & ankle international.. 2017 Apr 0; 38(4):424-429. Epub 2016 Dec 01. Ho B, Houck JR, Flemister AS, Ketz J, Oh I, DiGiovanni BF, Baumhauer JF. "Preoperative PROMIS Scores Predict Postoperative Success in Foot and Ankle Patients." Foot & ankle international.. 2016 Sep 0; 37(9):911-8. Epub 2016 Aug 16. Lee DJ, Schaffer J, Chen T, Oh I. "Internal Versus External Fixation of Charcot Midfoot Deformity Realignment." Orthopedics.. 2016 Jul 1; 39(4):e595-601. Epub 2016 Jun 06.